Sausages? Bacon? Egg? Beans? Toast? Tomato? All of the above? On a felt badge? YES PLEASE! 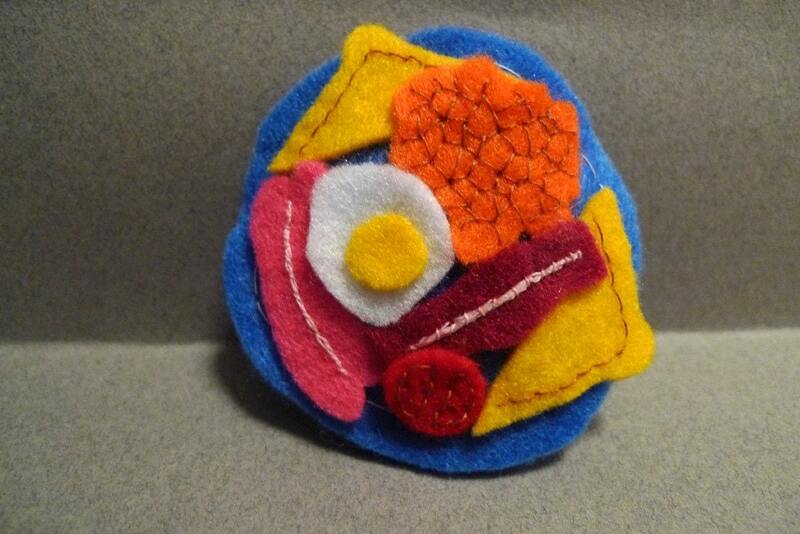 Made from soft fluffy bright-coloured felt, this lightweight badge measures approximately 6cm in diameter and is hand stitched. We think its the most important meal of the day and like to let everyone know about it. Folksy :: Buy "teacup button brooch"